Media: Soft cover, landscape format, 80 pages plus covers (incl. 40 pages in full colour). Disadvantages: no kits out there worthy of this type of correction! Modelers today are living in a true "golden age" of reference works, and most of them are now in mainstream circulation which makes it easier to find the "right" book at the right time. The basic breakout for where to go works this way: if you need a history of the creation of the vehicle and how it came to be, the New Vanguard line from Osprey covers most of the pertinent details; for "in action" the reasonably priced paperbacks from Concord and Squadron/Signal's "In Action" series cover the gamut; but for modeling "nuts and bolts" (that series is fine for German items) the most accessible are the "Allies and Axis" series from Ampersand and the "Walk Around" series from Squadron/Signal. This is the fourth armor publication in that series, and the third one from the capable hands of Jim Mesko. Jim had previously done their issues on Shermans and US Army tank destroyers, and this volume follows the same format. Based on surviving and restored vehicles, the book provides coverage of the M2 and M2A1, M3 and M3A1, M4 81mm mortar carrier, M5 and M9 series, M16 AAMG carriage, and the basic Israeli APC conversion as used in the 1967 War. The book is not a be-all-end-all of US Army halftrack vehicles and their sub-modifications – anyone wanting that level of detail should seek out the very detailed and thorough R. P. Hunnicutt "Half Track" book. But it provides very good closeup details of the engine, axles, transmission, wheels, tracks, running gear, interior, fittings, and differences between the four primary US Army combat carrier variants, which comprise most of the book (52 pages). It also covers as a result of that the M2HB mountings and details, as well as those for the pintle mounted .30 caliber M1919A4 machine guns used in the armored personnel carrier variants. The M4 mortar carrier is covered along with the differences between M4 and M4A1, as well as the mortar itself. The M16 is covered along with the M45 series of Maxson turrets, and also items like the 200 round ammunition cans for the guns on that vehicle. The Israeli vehicle is covered from the point of showing how it differentiates from straight American vehicles in its fittings, engine, exhausts, and also armaments. 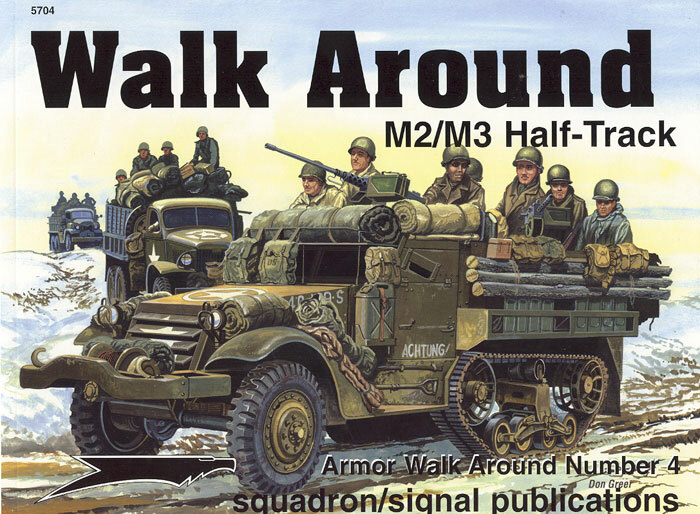 Overall this is another good effort from Jim, and one which any American vehicle modeler will want in his library. 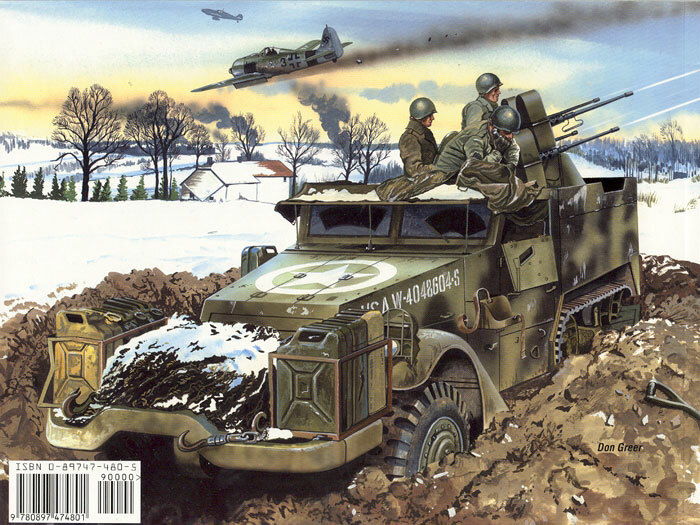 Alas, we still do not have a good basic US halftrack kit to work on and build up to this level of detail.